1. Isometrics exercises are used to maintain strength and prevent pain; do the following exercises 2­-3 times per day. 2. Each contraction should be held for six seconds and repeated ten times. 1) All exercises should be performed pain-free and through a full range of motion. If any pain is felt then simply decrease the amount of tension on the exercise band and continue. 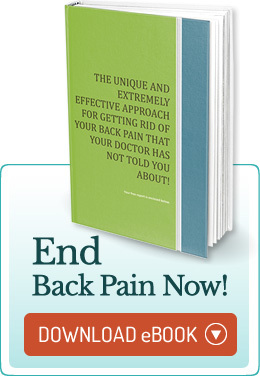 If there is still pain, you should stop the movement and consult the doctor. 2) All exercises should be performed slowly and in control, with a six second count: two seconds up, hold for one second, and three seconds back down. 3) The patient should position themselves and the exercise band as shown in the video. 4) All exercises should be performed within a range of twelve to fifteen repetitions. The proper amount of dumbbell weight or/and resistance should allow for muscular fatigue to occur between the twelfth and fifteenth repetition. b) Two-three sets on alternating days. c) 3 Sets of ______ reps every other day. Hanging is a form of traction which helps to decompress the intervertebral lymphatic system by stretching the pectoralis musculature and opening up the lymphatic duct, which runs through its muscle fibers. All stretches should be performed pain free and through a full range of motion. If any pain is felt, simply decrease the degree of bending and continue. If there is still pain, you should stop the movement and consult the doctor. 4) All exercises should be repeated as directed by the doctor. a) 3 sets of ______Reps every other day. 5) Keep shoes on so the band does not slip. 6) 12-15 Reps once a day or three sets every other day. Apply cold to the affected areas for twenty minutes at a time. Do not apply cold therapy directly to the skin. Repeat treatment as needed with twenty minute rest period applications. Apply cold/heat to the affected areas for a twenty minute cycle. A cycle should start by applying five minutes of cold, followed by ten minutes of heat, and ending with another five minutes of cold. All applications should be applied to the affected areas of pain or discomfort.